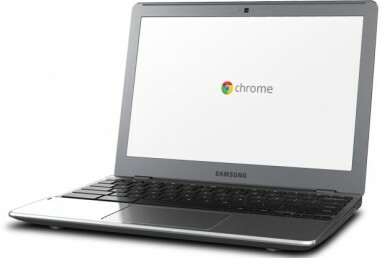 Chromebooks experienced a surge in popularity in 2013, rising from almost nothing to claim about a fifth of the commercial laptop market. This according to NPD Group, who said this week that sales of laptops running Google’s Chrome OS accounted for 21 percent of all commercial preconfigured notebook sales through November 2013. It would seem, then, that Chromebooks have begun to hit their stride. Indeed, Amazon said this week that two out of its three top-selling laptops during the holiday season were Chromebooks designed by Samsung and Acer. No hard numbers there, sure. But certainly anecdotal evidence in support of NPD’s metric. The year-over-year growth NPD has charted appears, then, to be significant. And evidently it’s coming at Microsoft’s expense, though machines running Windows did account for 34.1 percent of all commercial preconfigured notebook sales during the same period.